As you probably deduced from my earlier post, I’ve been in a bad mood today. You smart thing you. 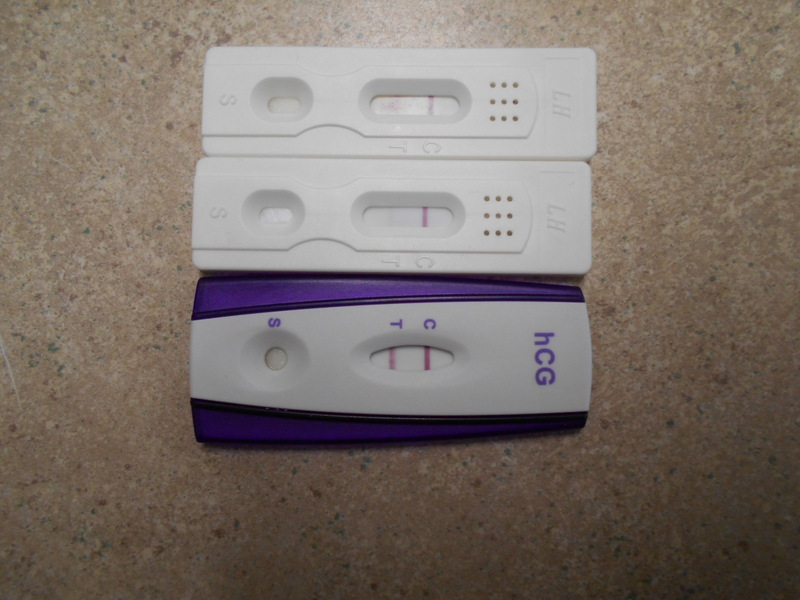 How did you guess? But there was one highlight. Ok, a few highlights. Here’s one. 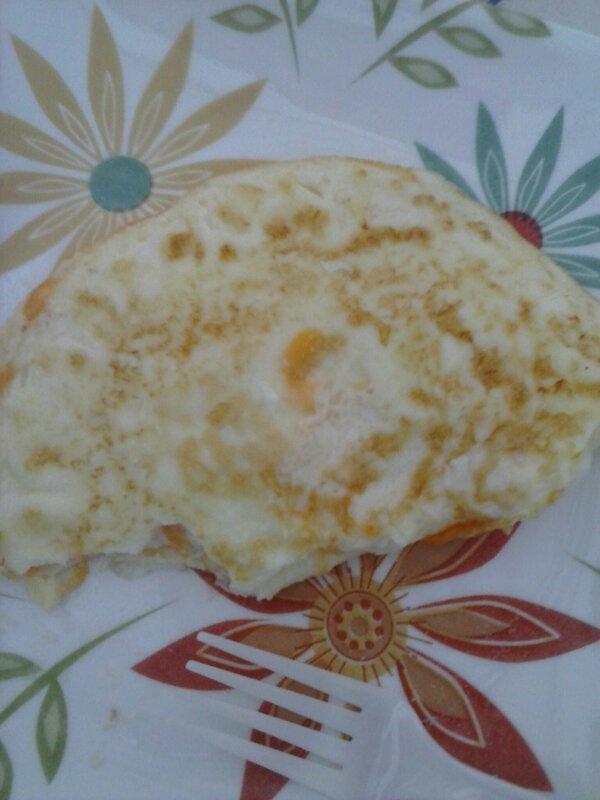 Egg white omlet with cheddar cheese. I was going to pack it with vegis but I didn’t have time. I’m not a fan of cooking in my fuzzy bathrobe and shoes while seeing my breath. It was time to retreat to the living room! All in all, it was a pretty darn good omlet though! I slacked again and missed yesterday. I was going to bed when I realised I had forgotten to take a picture. So here you go. Dehydrated oranges. I love them! 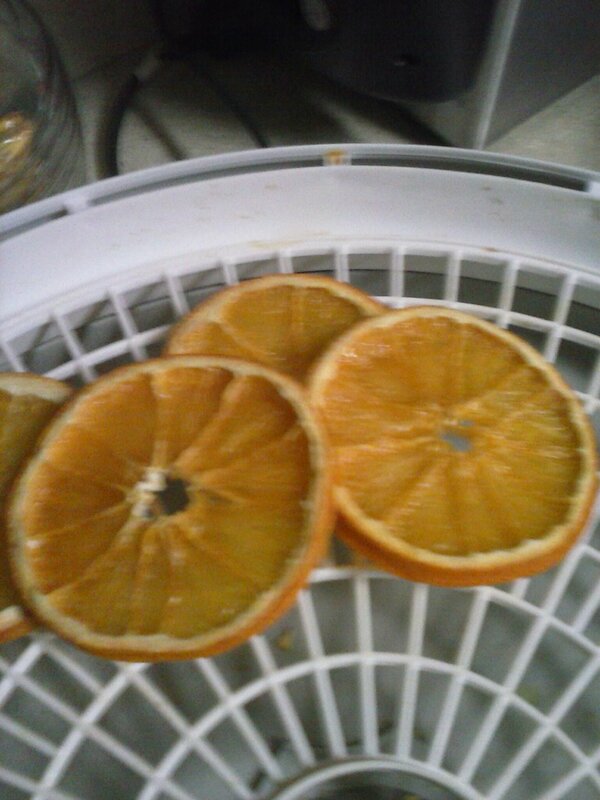 I don’t like oranges fresh, they have to be dehydrated. Its a texture thing I guess. I’m not really a picky eater except fruit. But these? Sooo good! Ok, I think you get it now…. DH has a little side job of recording music for people. He recently finished recording a cd for some people we go to church with. Today, I’m burning copies of that cd to finish the order. 50 copies. 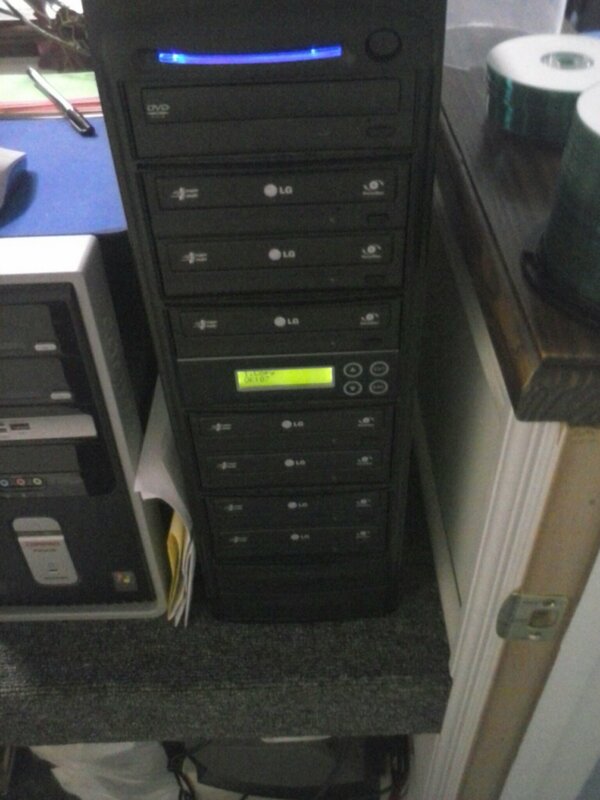 We were able to use this multiple DVD/CD burner (that doesn’t belong to us, but someone is letting us use it. Yay!) today. It burns 7 cds in about 2-3 minutes. Its making me very happy!